Anyone even remotely familiar with SHTF scenarios knows that gasoline will be almost impossible to obtain. Some problems may come up and make it hard to be produced and delivered: gasoline couldn’t be refined because of power, water, or crude shortages; transportation will be unavailable due to damaged roads and other key infrastructure points, or collapse of power grid will prevent electronic pumps from running. Under the circumstances, you better look for alternative solutions, and running your car using wood is one of them. Your vehicle’s engine must convert liquid gasoline into gas vapor and then mix it with air before injecting it into the cylinder. From there, the force of combustion drives the piston down ward. This motion is then converted in a perpendicular direction by the cam shaft, then magnified by the transmission and transmitted to the wheels by the drive train. When you use wood to power your vehicle, the burning process releases carbon dioxide, carbon monoxide, nitrogen, oxygen, methane, and water. The methane and oxygen will provide most of the explosive force, while nitrogen will help reduce heat, and make the explosion more efficient. 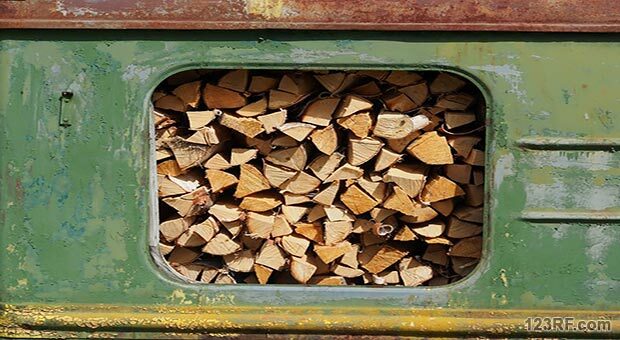 Even though converting wood to gas is essentially a burning process, it does require additional filters before the gas can be used in the engine. Improper filtering and burning methods can lead to tar buildup, which will destroy the engine. Wood to gas conversion systems are fairly crude, even though various designs have been in use for decades. In fact, Japan, Europe, and the United States relied on biomass as a power source during WWII and beyond. While wood and other forms of biomass do not produce as much energy as gasoline, it can still be used in an emergency. Quite bluntly, those making their own survival plans already know that FEMA plans are worse than a sadistic joke. From that perspective, it should come as no surprise that free plans for gasifiers available through FEMA are outdated and do not work as well as others. In this case, their gasifier requires 44 pounds of wood to make a single gallon of gasoline. To add insult to injury, the gasoline produced by this system will have far more tar than can be safely introduced into an automobile system. If you are going to invest time and resources into creating your own gasifier, you should start off with the Keith Gasifier, which was invented by Wayne Keith. This design requires a wood burning barrel, one for storing gasses while they cool, a barrel with straw for filtering, and 16 pounds of wood to produce one gallon of gas. This system is portable and can be used to run trucks and farm equipment. As you work with the design, you may also be able to find ways to retrieve hydrogen and water from the gasses released and feed them into the vehicle’s intake manifold via an electrolysis system. Many people think that free wood will always be plentiful. For example, you may see dozens of wooden palettes around dumpsters that can be burned to produce gasoline. If you live on a farm or in rural areas, you may also be led to believe that even a few trees can meet your fuel needs. On the other side of the equation, never forget that you are looking at resources that are free right now because there is a higher demand for gasoline than there is wood. Individuals that are going to use gasifiers must also plan for a steady and sustainable supply of wood. If you have enough land, you can grow peach, pine, birch, boxwood, and other fast growing trees that produce burnable wood. When calculating the amount of fuel you can get from each tree, you should account for how much weight will be lost as the wood dries out. This can be anywhere from 1/2 to 3/4 of the original weight of living wood. Therefore, the wood from a single tree would have to weight anywhere from 32 to 64 pounds to make one gallon of fuel via the Keith Gasifier and a whopping 96 to 192 pounds of wood per gallon via the FEMA version. Consider a situation where you figure that you will need the equivalent of 20 gallons of gasoline per day, or 7300 gallons per year. Now let us say that you decided to use the Keith Gasifier, and you will grow trees that put on about 10 pounds of wood per year after the first 3 years. In order to produce enough gasoline in a sustainable fashion, you will need to set aside enough land to grow 7300 trees per year for about 10 years, and then replant on yearly basis. During that time, you will also need to take into account soil nutrient depletion, water shortages, and other problems. It should be noted that some people believe increased amounts of nitrogen in wood gas cause it to be less efficient than gasoline. If you want to play with this idea, you may want to consider designing a system that separates at least half the nitrogen, and then replace it with regular air. This will increase the oxygen percentage in the fuel mix, and then give you plenty of gaseous nitrogen to use for growing beans, or other plants that fix nitrogen from the air. Perhaps you will even come up with a biomass system that allows these plants to be used as the fuel source for your vehicle instead of wood. Video first seen on Paul Scheckel Homeowner’s Energy Handbook. Perhaps it can best be said that being able to convert wood to gasoline efficiently is very important despite current shortcomings. At the very least, you can look into using wood as a starting point for fuel production, and then other ways to make use of other gases released during the conversion process. Once you know that you can generate fuel in a crisis, you can go from there to create a more sustainable system than what exists now. The article says “This motion is then converted in a perpendicular direction by the cam shaft…” whatever that means. In fact, the camshaft (two of them in a V6 or V8) is only peripherally connected to the drive train. The camshaft operates lifters, which operate the rocker arms, which open and close the valves, which allow the fuel/air mixture into the cylinders (the intake valve) and enable the burned gases to exit (exhaust valve). A more thorough attempt at research would have revealed this information. Hi – thanks for catching that. You are right – it is the crankshaft – as someone else noted. I took an engine apart as a summer project about 15 years ago, but have done little more than change oil and rotate tires since then. Apparently I don’t remember as much of the vocabulary on engine innards as I thought I did. He should have said “crank shaft” which is what converts linear motion into rotating motion in an internal combustion engine to drive the wheels of the vehicle. Wood gas won’t do most people any good unless they live on a farm. 4th paragraph has a mistake:- Sorry! When the piston moves in a linear motion the crankshaft converts this into a rotary motion. The cam shaft opens and closes valves at the correct time to match piston activity. I WILL BURN WATER AS ALTERNATIVE FUEL. Read this, pass it on and hope that everybody learns how to do it. I will be happy to advise. I have already burned 50/50 water gasoline in a standard V8 this way without any modifications other than restricting the air from 14/1 to about 1.5/1. It is not electrolysis. Electrolysis takes too much energy. I would *definitely* appreciate some advice on this one. 😀 Been looking at different HHO systems, but keep reading reviews that say they don’t work, or they don’t produce as much energy as claimed. I’d dearly love to know of a model that works and can be installed safely. Honestly, though, I favor HHO over those ridiculous hybrids (including the hydrogen based hybrids, BTW). PS -I mean the gasoline hybrids that are on the market these days are ridiculous (IMHO), not the devices that convert water to HHO and then mix it with gasoline in a conventional engine. Check out breaking H2O into H2 O2 or HHO gas & burning it in your internal combustion engines. There are lots HHO generator plans. Many of them fairly easy to build & quite efficient. Most use the concept of mixing HHO & small amounts of gasoline or gas & diesel mix so that the engine stays lubricated & doesn’t rust. But the biggest problem is the car or truck’s computer thinking all the HHO is O2 & pumping in to much gas. There are some computer chips that will fix this. If an EMP wiped out the computer it would, of course wipe out the chip. At that point the only way you are going to run the car anyway would be to replace the fuel injectors with a carburetor after revamping the wiring harness to cut the computer out of the picture. Yay – carbs!! I still remember how to clean one of those suckers and adjust them. Of course – I also love that carburetors don’t require the bloomin’ fuel pump to sit in the gas tank. Nothing like a vehicle where you can just pop open the hood and dump in a new fuel pump. 40.00 home based repair with some minor french words vs. almost 1000 to the mechanic and months of budget misery with these stupid fuel injectors. If your gonna go through all that why not build a steam engine. Would it not be a better conversion of energy. Surely there must still be blueprints of old Stanley Steamers or similar type contraptions. Not nearly enough steam engines in existence to make steam practical. For those who truly understand steam and have a steam engine, great idea. The boiler is the achilles heel. I don’t want to be anywhere near people “experimenting” with steam boilers. Woodgas is proven practical. Water (browns gas) should work, but have yet to hear of someone driving coast to coast on it. Wayne Keith traveled 7,000 miles, coast to coast and back again on wood. It is easy for him, could be easy for everyone. The first problem is soil depletion. Did you see the AP investigation on the ethanol production? I’m not sure that wood or biomass will be a viable source of fuel. Land resources are being destroyed, and there is still food production to consider. The second problem is you can’t take a few hundred trees along with you. Right now Wayne Keith has plenty of wood available. What will happen when hundreds or thousands are bugging out, and then afterward trying to rebuild society? To my mind, the price of wood will go up, and its availability will go down too fast to be viable. Two big trees (4 cords of wood) have the energy to power the average car the average miles per year in a WK style gasifier. Dead branches, brush piles, snapped twigs, pine cones, nut hulls, many sources of excess biomass available without harming a desirable living tree. Nobody knows for sure what the future may bring, but either trees will keep growing, or they will start dying. Either way, lots of stored solar energy currently underutilized. Stationary power generation using woodgas is simple compared to having to fit all the works onto a vehicle and operate the engine at widely variable rpm. It also depends on the type of wood and how fast the tree grows,and then soil depletion under increased drain from growing biomass. We’ve already seen millions of acres of arable land here in the US, plus associated waterways destroyed by growing corn for ethanol. Numerous other ways to do biomass energy wrong. The failures to date tell that tale. Hmm.. interesting on the corn. 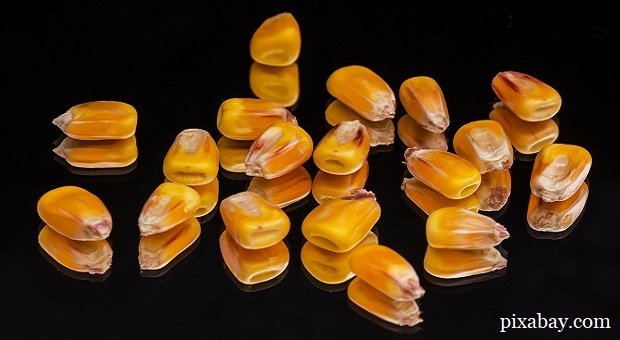 I’m hazarding a guess that the current system that uses GMO corn is not the best possible out there. Also – I’ve heard sugar beets would be a better crop for ethanol. I’m a fan of Avery Lovings of the Rocky Mountain Institute. They, (he), have advocated for radical and refreshing responses to the questions of energy generation. I get the last ditch, pull up the draw bridge strategy of looking into alternative ways to eek out fuels for our Yukons and F-150’s. Is there no interest in promoting vehicles that depend on the sun for their battery health? Those stratagies reap multiple advantages…Look beyond your next day solution, look to solutions that give really great multiple wins…! Huge fan of Lovins and RMI myself. Also a fan of Ivan Illich who foretold the hazards of inequitable access to energy. In forty years we have arrived at his predicted destination. Wood is stored solar energy. By tending the earth rather than plundering it, and using natures created energy wisely, there is plenty of solar energy for all. Part of the magic of the WK gasifier, why it works better than earlier woodgas designs, is that it slips a percentage of the char (biochar) into a holding area. Applying that carbon to soil, aids new growth, while sequestering atmospheric carbon that the plant pulled out of the air as it grew. It is a win-win. We don’t have to drive around to enjoy the benefits of clean, carbon-negative energy from naturally stored solar. There are successful business initiatives in the third world using simple microgasification cookstoves powered by invasive biomass species to quite literally build a better world from the ground up. ACON in Kenya dries and chars invasive water hyacinth, using the heat for cooking, the char for growing better crops. Hmm… I don’t know if it would work or how to do it – but maybe split out the nitrogen gas, put some in water – use that to feed it into hydroponics systems, and then some into the air for plants that fix nitrogen with their leaves – plants will grow like crazy!! I don’t know about you guys but just finished reading that chemtrails apart from killing everything the main purpose is to turn all soils acidic then only mr.monsanto’s seeds will grow and then we have to purchase their terminator seeds if we wish to survive on this planet which looks very much like it’s gonna resemble all those others that we can view through a telescope.What a crock we’ve got ourselves involved in. This system is un unsustainable. So we have to learn very quickly how to survive. Refining gasoline from oil is the easy part of oil refinery. Making lubricating oil for your engine is the tricky part, and you will need lubricating oil for your engine no matter what kind fuel you use. What do you think synthetic oil is? It’s remanufactured petroleum.